I usually write down tasks need to be done and tips to be kept in mind for doing something with Reminders App, which can make my daily work more orderly and effectively. Fortunately, building reminders is easy enough with the preinstalled app Reminders. And the hundreds of Reminders did contribute a lot to my work, making everything organized and traceable. Can you imagine that one day when you wake up in the morning and check what you should do, only to find out that all your reminders are gone? 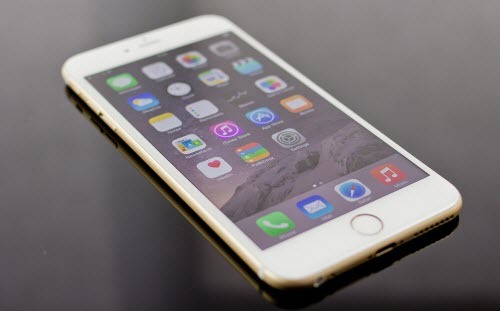 The only thing you have done before you sleep is to upgrade your iPhone 6s to the latest iOS 9.0.2. Is it possible to recover the lost iPhone 6s reminders after the iOS 9.0.2 update? I cannot afford losing all my iPhone 6s reminders. Fortunately again, recovering the lost reminders items is not as difficult as you have expected. And there are different ways to do so. Locate and click your iPhone when it is recognized by iTunes. You may get back your reminders items by doing so, possibly, you may not. Restoring your iPhone 6s through iTunes needs a restoring back to factory settings at first before restoring your lost reminders from the previous backup. In other words, all the content and settings will be erased for a restoring. Therefore, data newly generated data will be erased and if the previous backup cannot does not include the reminders you want, you cannot get back your reminders either. Similarly, restoring iPhone 6s from iCloud backup will cause the same problem. And it is not a recommended solution either. To avoid the data overlapping and wiping problem, you need a solution allows you to recover the lost iPhone 6s reminders selectively without causing any data loss. iFonebox, as specialized iPhone data recovery software, realized selectively recovering data of certain type. If you are sure you have synced your iPhone 6s to iTunes and build a backup including all the reminders on your iPhone 6s, you can recover the lost iPhone 6s reminders from iTunes backup with iFonebox. Install the full version of iFonebox and get it started. Choose the recovery mode of “Recover form iTunes”. Then a lost of iTunes backup file will be presented for your selection. Choose the reminders to recover by clicking on the icon of Reminders App on the next interface which will list all the supported data category by iFonebox . Preview the exported reminders items and select whatever you want to recover to your computer. How to recover missing notes after update to iOS 9.0.2? 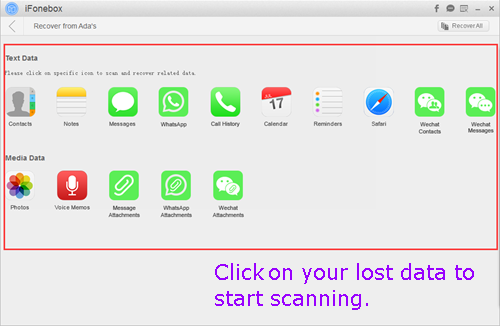 How Do I Recover Lost iPhone iMessages After Update To iOS 9.0.2? How To Recover Deleted iMessages From iPhone 6s Plus? This entry was posted in iOS 9.0.2, iPhone 6S and tagged get back lost reminders after update to ios 9.0.2, recover ios 9.0.2 lost reminders by IosdroneD. Bookmark the permalink.